The fruits of our orchid grower’s labor have come through with flying colors, creating a salute to the season with the hottest pink orchids you’ll find. 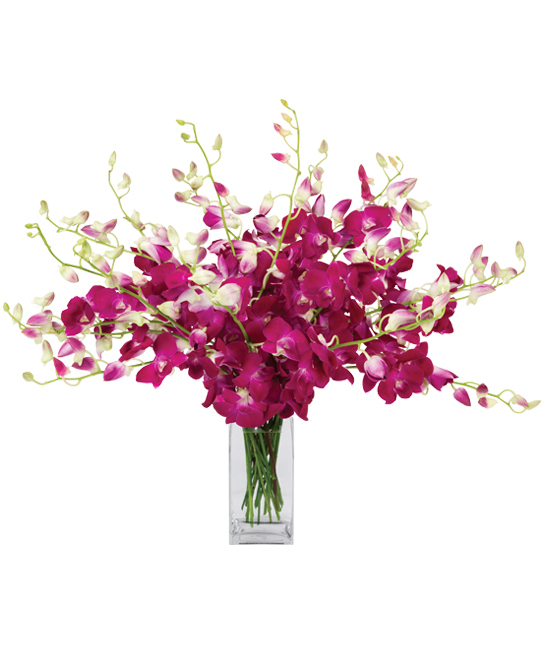 A bouquet of twenty Sabin dendrobiums flaunt a multitude of intense petals from our gorgeous glass vase, chosen for its unique modern flair that contrasts the orchids perfectly. A sweet, sophisticated, and refreshing surprise ideal for any special occasion. Trim ½” or more from each stem at a diagonal under water to the recommended display height of your container or vase. Submerge the entire stem with blossoms in fresh, room temperature water for 5 — 10 minutes as orchids drink water through their stems and flowers. 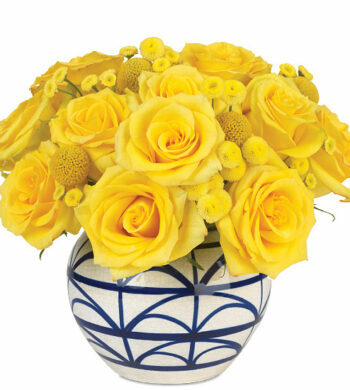 Fill your container or vase with warm water and add flower food as directed. Remove the sprays from the soaking water, shake off excess water and place in vase. Arrange orchids and keep display away from hot or cold drafts and direct sunlight. Do not allow any blossoms to fall below the water line. IMPORTANT! Add fresh water daily and recut stems every other day. We also recommend misting blossoms frequently. 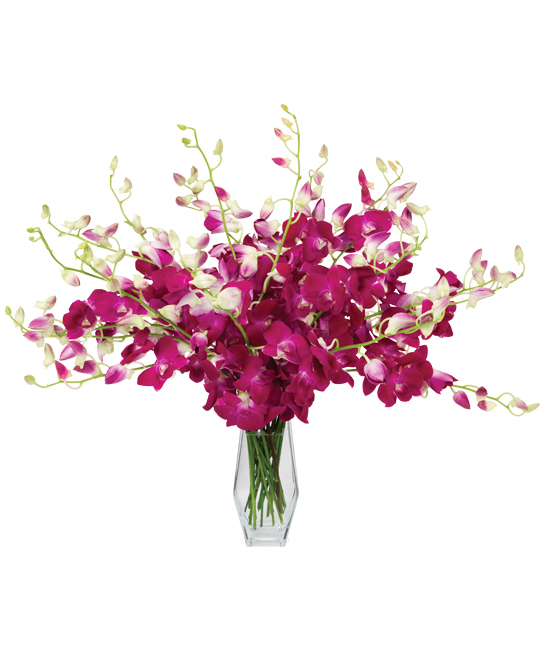 Trim away spent blossoms as your bouquet ages to allow the orchids to channel their energy correctly.